In order to consume bone broth for health benefits, it requires the right preparation. Discover how to make bone broth packed with powerful nutrients here. Every few years, a new “superfood” hits the internet and becomes all the craze. Now is unlike any other time as drinking bone broth for health benefits has become the latest fad on social media. But, is bone broth really healthy? The answer depends on how it is made. 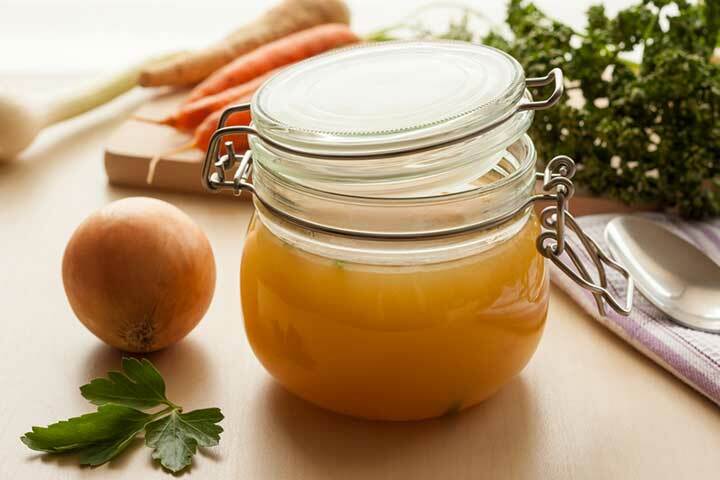 In order to get the nutritional benefits, bone broth must be prepared correctly. But first, learn about the the health benefits of bone broth. The healthy nutrients in bone broth are found in the dissolved gelatin. When the broth simmers, it pulls the gelatin out of the bones. And when you drink the broth, your body absorbs the gelatin. Fights colds and flu. Have you ever heard that eating grandma’s chicken soup will help fight a cold? Turns out this folk remedy is actually true. Researchers at the University of Nebraska Medical Center discovered that homemade chicken soup contains “a number of substances with beneficial medicinal activity” and has “a mild inflammatory effect… that mitigates upper respiratory tract infections.” It turns out these remarkable health benefits occur from the amino acids and collagen produced from making the chicken stock. Reduces joint and muscle pain. In addition to vitamins and minerals, bone broth contains chondroitin sulfate, glucosamine, and hyaluronic acid—compounds that reduce inflammation and joint pain. Plus, the amino acids in bone broth also help to provide a cushion-like coating for your achy joints. Improves digestive health in leaky gut syndrome. The amino acid glutamine in bone broth helps to reduce gut inflammation, aid digestion, and regulate the secretion of stomach acid. And, studies have found that glutamine can improve the intestinal lining in leaky gut syndrome. Provides healthy skin and shiny hair. The hyaluronic acid in bone broth helps skin retain moisture and clear breakouts, leaving a supple glow (which is why this ingredient is often found in over-the-counter skin creams). Furthermore, the collagen in bone broth improves skin elasticity and increases hair growth and shine. Following this bone broth recipe below will ensure you’re receiving the optimum concentration of healthy nutrients. Place the bones and salt in a slow cooker. Add enough water to cover the bones, but do not fill the slow cooker. After 30 minutes, add the vegetables and apple cider vinegar. Then, fill the slow cooker with more water. Simmer for 20 to 24 hours. Many bone broth recipes will have shorter simmer times, but it is necessary to simmer bone broth for longer periods of time to achieve the nutritional benefits. The longer you simmer, the more the bone marrow will be absorbed into the broth. Strain into mason jars and refrigerate. You can also put the jars in the freezer. Don’t have 24 hours to cook? Need bone broth on-the-go? You can buy premade bone broth online or at your local health food store. You’ll want to make sure the product has at least 10 grams of protein, and avoid premade bone broths that are high in sugar or sodium. To get the most bang for your buck, select a bone broth with added collagen. While bone broth does provide many health benefits, it is important to note that it is less effective than supplementing with collagen. Why? First, collagen is more easily digested and allows for better absorption of the amino acids. In fact, many people simply cannot tolerate bone broth gelatin as it causes digestive issues. In these cases, collagen is a superior choice. Second, there are 16 different types of collagen—type I, type II, type III, etc. Beef broth typically contains higher levels of type I collagen whereas chicken broth is higher in type II. As opposed to broth, collagen supplements contain more than one type of collagen. So, you’ll get added health benefits by combining collagen types. 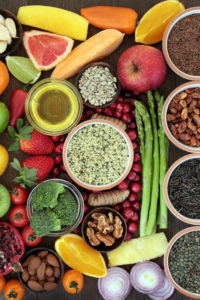 Learn more about the collagen health benefits and how to take collagen supplements here. Annals of Rheumatic Dis. 2015 Jan.
add, amino acids, apple cider vinegar, bone, bone marrow, calcium, calcium deficiency, calcium deficiency symptoms, carrots, chondroitin, collagen, detox soup, digestion, digestive, digestive health, Digestive Issues, flu, food, health, health food, inflammation, insomnia 2, joint and muscle pain, joint pain, leaky gut, leaky gut syndrome, magnesium, muscle, muscle pain, natural remedies, natural remedies for, natural remedies for insomnia, nutrients, organic, pain, potassium, protein, recipe, reduce inflammation, remedies for insomnia, skin, stay asleep, stomach acid, sugar, supplements, vegetables, vitamins, vitamins and minerals.